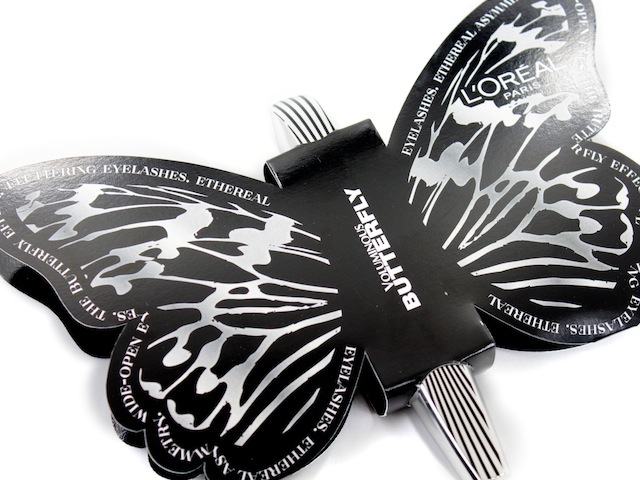 There’s a new L’Oréal Voluminous mascara in town and her name is Butterfly*. A couple weeks ago, I received this mascara in the mail & I couldn't wait to try it out. I also couldn't help but swoon at the press packaging (how adorable, right?). I’ve always been a fan of the Voluminous line, so I knew I would love the formula (and I do), but I was mainly excited to try out the new wand. The wand definitely sets it apart from other mascaras. It has plastic bristles and it’s shaped in a pretty unique way. This asymmetrical brush has two distinct sides: one side has short bristles (perfect for the inner corner or the bottom lashes), and another side with a winged design to add a flare to your eyes (also great for separating your lashes). I have very short and straight lashes, so I don’t expect anything life changing from mascaras. I did notice a bit more definition & flare with my lashes after applying a coat and a half of theVoluminous Butterfly mascara. More than two coats tends to get clumpy. You can see the difference in the photos below -- the mascara leaves my lashes looking a bit more fluttery than before (and who doesn't want that?). 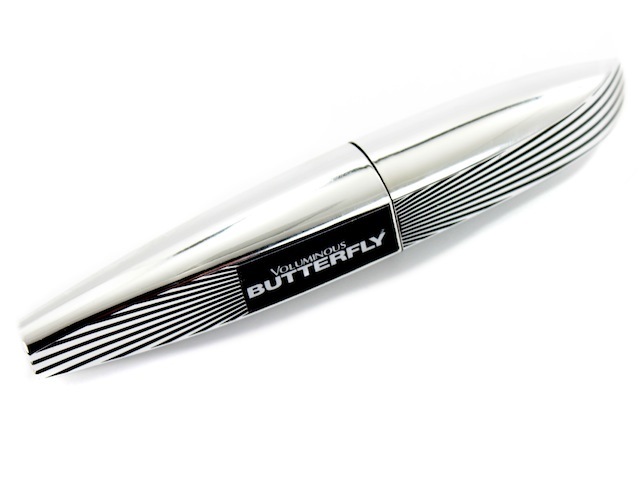 This mascara also contains "cocoon smart" fibers that wrap about your lashes to help elongate them. 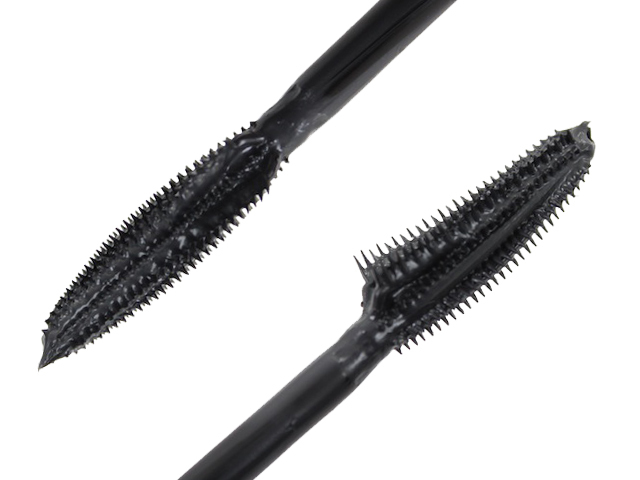 If you're not a fan of fibers, then this mascara may not be for you. The formula is also a bit on the wet side. Since I prefer a slightly drier formula, to me that means that it just gets better with age! 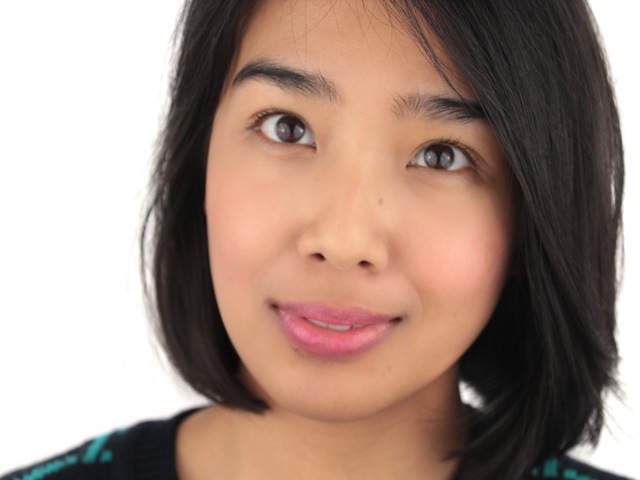 I was able to wear this mascara all day with no smudges, flaking, or racoon eyes. It even withstood a few raindrops on the way home. It did take me a couple of tries to get used to the brush, though. I made a mess of my eyelid with mascara blobs the first couple of tries. Along with the mascara, I also received a couple of L'oréal's new eyeliners: the Infallible Super Slim 12H Eyeliner* and the Infallible Super Liner Blackbuster*. 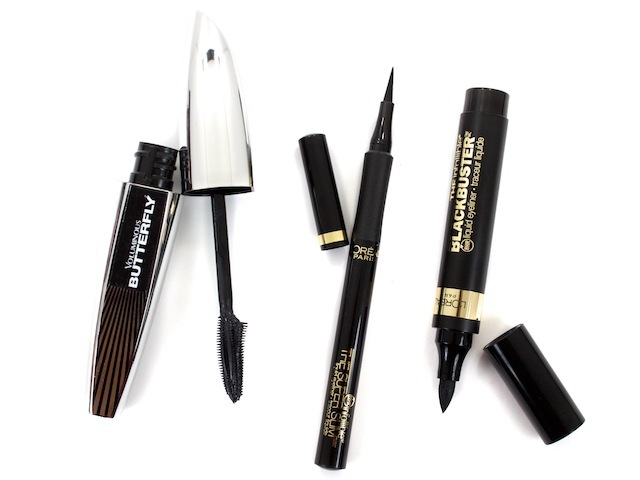 The Super Slim eyeliner has a small felt tip applicator that is great for precise lines, while the Blackbuster, with it's marker-like design, is great for dramatic looks. 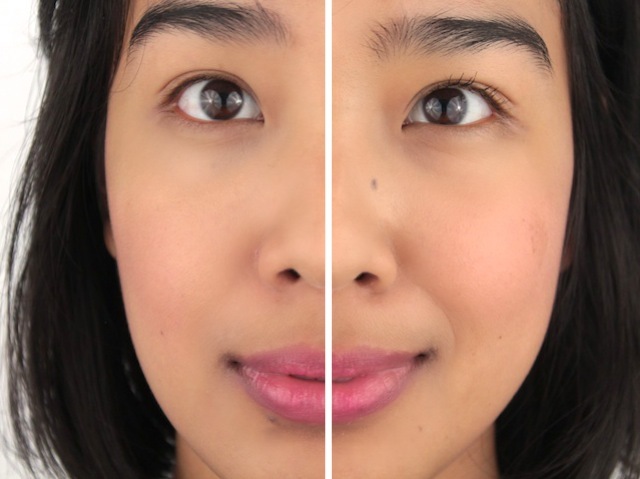 Both apply nicely, although I do find the Blackbuster applicator to be a little bit awkward and too stiff to use for a quick application on lash line. Ps, sorry for the lack of posts this past week! I should hopefully be back on track by Monday. I'd love to try out that eyeliner! Great post!